Some weeks can be rather quiet in the Nintendo Download update; this is not one of those weeks. This may well be the longest list of downloads and promotions that we've seen yet, with some anticipated titles and a few that have rather come out of left-field. There's a ridiculous amount to get through, so let's get on with it. Mighty Switch Force! 2 (WayForward, €5.00 / £5.00) — Unlike the revamped Mighty Switch Force: Hyper Drive Edition, this Wii U release of the 3DS eShop sequel is apparently based directly on the original, retooling the pixel-based visuals for a 16:9 ratio. We gave the eShop version a reasonable recommendation in our Mighty Switch Force! 2 review, even if it didn't quite match our expectations. 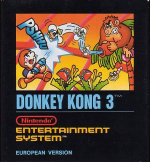 Donkey Kong 3 (Nintendo, €4.99 / £3.49) — The third entry in the original DK series now arrives on the Wii U Virtual Console, adding to its library of NES offerings. This one is quite a departure from its predecessors as you attempt to shoot the big ape with bug spray, which certainly is a change. We'll take another look, but in the meantime you can cast your eyes over our original Wii Virtual Console Donkey Kong 3 review, in which it bugged us rather than made us go ape. This is the US version of the game. 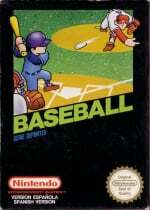 Baseball (Nintendo, €4.99 / £3.49) — The NES Sports range continues its route onto the Wii U Virtual Console with this rather popular American sport. You pitch, you bat and you (sort of) field, but we weren't impressed many years ago in our Wii Virtual Console Baseball review. This is the US version of the game. 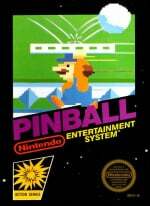 Pinball (Nintendo, €4.99 / £3.49) — It's another one of the earliest NES games, which explains the rather simplistic title. This is a fairly basic game of pinball with a Mario mini-game thrown in, and we gave it a reasonable recommendation in our Wii Virtual Console Pinball review. This is the US version of the game. 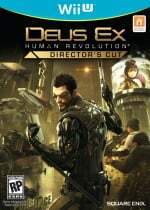 Deus Ex: Human Revolution Director's Cut (Square Enix, €39.99 / £29.99) — Arrives on Wii U alongside other systems as an improved version of a game a little over two years old; it faces a hard time winning attention alongside so many other major releases this season. 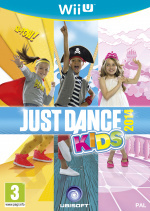 Just Dance Kids 2014 (Ubisoft, €39.99 / £29.99) — It's dancing with songs for kids. Yep, that sums it up. Phoenix Wright: Ace Attorney - Dual Destinies (Capcom, €24.99 / £19.99) — Originally expected as a retail release, Capcom is bringing the much anticipated sequel exclusively to the eShop with a lower price. Fans may object to the absence of a physical retail version, but there is the consolation that a localised version has arrived. We'll bring you a review as soon as we can check all of the available evidence. Snow Moto Racing 3D (Zordix, €5.99 / £5.39 until 8th November, will then be €7.99 / £7.19) — This is the second Moto Racing title from Zordix to arrive on the 3DS eShop, this time around tackling a theme best suited to Winter. This looks fairly similar to Aqua Moto Racing 3D, with plenty of tournaments, stunts and multiplayer options — including Download Play — to enjoy. We'll see whether this plays well or is on a slippery slope in our review, due today. Bowling Bonanza 3D (Enjoy Gaming, €2.99 / £2.50 until 14th November, will be €3.99 / £3.30) — It's bowling, basically, thought there are four different modes to choose from. As a bowling sim this isn't bad, but does have control issues and poorly executed 3D — let our Bowling Bonanza 3D review knock you over. Crazy Chicken: Director's Cut 3D (Teyon, €1.99 / £1.79) — Those crazy chickens return and, once again, you have to gun them down with your stylus and a good aim. We'll see whether this is any improvement over its predecessors in our upcoming review. (There is also a DSiWare version of the game on the DSi store). Gummy Bears - Mini Golf (Enjoy Gaming, €2.99 / £2.50 until 14th November, will be €3.99 / £3.30) — The Gummy Bears arrive on the 3DS eShop for some golfing shenanigans. It's a minor improvement over the first franchise appearance, but only by a little, and has some issues holding it back; get the lowdown in our Gummy Bears Mini Golf review. Wario's Woods (Nintendo, €3.99 / £3.59) — Another NES title lands on the 3DS Virtual Console, this time in the form of Wario's falling block puzzler. Check out our Wii Virtual Console Wario's Woods review while we tackle it once again on the portable system. Beyblade: Evolution (Rising Star Games, €29.99 / £29.99) — Available from 25th October. Cloudy With a Chance of Meatballs 2 (Avanquest, €24.99 / £19.99) — Available from 25th October. Phew, plenty of options for you, Europe. Let us know what you plan to download in the poll and comments below. I like the way they are integrating Wii Party games into Deus Ex. Should be the best version! With Deus Ex party games isn't what comes to mind. A whole lot of stuff this week. 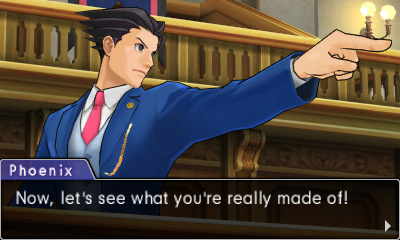 May consider Pheonix Wright (never played the others but I liked the demo). Man, plenty of options and they're all crap! Well, back to Pokemon I guess. 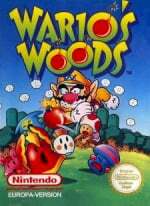 Wario's Woods! WARIO'S FREAKING WOODS!!!! Man I am so getting this. Wish it was the superior snes version, but this'll do! Maybe I can finally beat it with 3DS save states. Can't help but think Nintendo are releasing rubbish VC titles because all the good ones are getting HD remakes (that statement is pure sarcasim by they way). Well, I love falling block puzzles to kill time, and I have a very soft spot for Wario, and I have all his other VC games on my 3DS, so Wario's Woods it is I guess. Now, Nintendo, if you could find your way to releasing Wario Blast: Featuring Bomberman! on the 3DS VC, it would be greatly appreciated. K thanks! Nothing for me this week simply because there is already far too much on my plate. Phoenix Wright and Wario's Woods turn an otherwise horrible week into something special. At least for 3DS owners, that is. Poor WiiU guys, meanwhile. @MadAussieBloke Oh I think Sonic Lost World is great too! Phoenix Wright of course. Everybody who once called themselves a fan of the series HAS to download this at £20! ohh heeeeeelll no! No way did you just casually dismiss Phoenix Wright as rubbish. Nice to know that Phoenix Wright is €25 but I will be waiting a while as Pokemon is keeping me busy. Not able to do a poll as there are too many feilds for your poll to handle NL? That really made me giggle! A decent week for wiiu in terms of new releases but yet more junk swept up from nintendos vc carpet... Sigh GIVE US GC VC NINTENDO! Damnit! Probably getting Deus Ex this Friday since I got three premium vouchers stashed up (not trying to brag or anything) and Phoenix Wright after that is done. But could also be vice versa. This is one seriously amazing week. Got sonic and Pokemon last Friday, sonic got an hour's play Pokemon has been on nonstop, the controls in sonic, I don't know, am I missing something? Pokemon y is my first ever Pokemon game and I'm 32, like it as a kinda nothing game that keeps going lol. So this week, Deus Ex, never played the original, maybe look into it another time. On VC, Jesus Ninty sigh stop with the nes games bring the GameCube games already! Is anybody actually buying and enjoying these nes games? I mean, besides reviews who have to play to review them, again. Now that we got that out of the way, next time some SNES, GBA stuff please ..some Marios and Zeldas. It's about time to release ALTTP, due to the upcoming ALBW. Sometimes I have a weird tendency about being keen to play bad games, actually I don't know why. 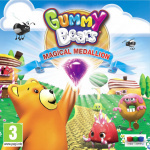 So maybe I could give Gummy Bears Magical Medallion from ""Enjoy"" Gaming a try. @AJWolfTill haha no, didn't mean Phoenix Wright is rubbish I've been aware of it coming out for ages and will pick it up when I have the money. It's the trash they keep giving us on Virtual Console and the shovelware littering the Eshop that has me bummed out. Every week I click this article preying for a pleasant surprise and it's just too rare that I get one. I see dea...shovelware. The 3DS is starting to get the same s*** that crammed the DS. It makes me mad. Might get Mighty Switch Force, but not this week. Would've gotten Phoenix Wright, if there were a retail Version availaible, but as download, no, thx. 20 games... Nintendo should go for this kind of list every week. Just a heads up, a new message on the EU eShop states that it'll be undergoing maintenance tonight between 20:00 UTC and 00:00 UTC. Don't know if that applies to Miiverse or eShop in other regions as well. I'm interested in Deus Ex, Pheonix Wright & the Urban Trial discount. I might pick up MSF2 or I might wait until it goes on discount, like I did with MSF HD. I wish Wii U VC would recieve at the very least more SNES stuff but preferably some N64 stuff, I'd love to play Super Mario 64 or Mario Kart 64 on the Gamepad I'm also still dreaming about seeing some gamecube games on the Wii U VC one day, specifically Super Mario Sunshine I've been really craving a playthrough of that game but haven't allowed myself to play it in case they one day decide to release it on Wii U in one form or another. The Wii U VC library is pretty pathetic if I'm being honest, early/launch NES titles, When you're getting stuff like RECCA on the 3DS? "REALLY, really?" Deus ex is 55 euro's in shops but its 40 euros on the eshop im downloading it for sure. I'll get phoenix wright too never played any game in the series but I liked the demo. I would say the retail disc version of Deus Ex will suffer poor load times and framerate issues due to the slow disc drive... Big games like that should always be a mandatory DIGITAL 4 LYFE BABY! I was going to buy Phoenix Wright day one but I think I'll wait until I've played Apollo Justice first. And I won't get Apollo Justice before I've had enough of Pokémon Y. Main game beaten but I have still things to do before I'll move onto next game. Sega 3D Classics, where art thou ? @MadAussieBloke I have my 1TB HD ready and waiting for all my e-shop downloads DIGITAL 4 LYFE! @MeWario Hahahah, gotta love a "joker". I'm so desperate for new Wii U Virtual Console games that Pinball kinda got me excited. Hoping we get that here in the US this week. Man, I really loved them gummy bear sweets when I was a kid. Really wish that I could download a packet of them. Phoenix Wright, what a strange game... The first game (from playing demo) that has ever made me feel nervous, for that reason I`ll be downloading on Thursday. Shrewd pricing of deus ex. Other publishers would very easily have gone for a £49.99 price point on wii u eshop. Now sorely tempted now I have free funds this side of Xmas due to watchdogs and donkey getting delayed. This title is better than assassins cress 4 will be and it is £20-£26 cheaper. Ace Attorney is mine this week! I'm gonna end up being the only one buying Wario's Woods, am I? Loved this game, especially the NES version. I'll get AA one day soon, once I've finished off a few other things. I'm not Europe, but Wario's Woods seriously HAS to come to America on 3DS! Downloading Ace Attorney but won't be until the 1st since I have to pay for Hometown Story, Batman Arkham Origins Blackgate and Sonic Lost World before then. Crazy Chicken! !...er I mean, crazy week! agreed, on a more important note, WHERE ON EARTH IS THE SONIC LOST WORLDS DEMO FOR EUROPE? this is bull crap! Japan got the demo, and from what i have seen it even has options in the menu to change voices and text into English, so they wont need to redo anything, just release the dam demo!!! no way i am buying another 3d sonic after the lack lustre history of 3d sonic games, a demo would have been perfect to convince me either way!! this is not fair, and i hope we get it soon! So is Wii Party U only retail this week? That's a fantastic price for the Wii U port of Mighty Switch Force! 2. Absolute must buy. LOL did the same thing myself. Quite a difference in quality. What a list! It'll be Donkey Kong 3 for me though. I wasn't a fan of the Phoenix Wright: Ace Attorney - Dual Destinies demo, so will be skipping this. Whats the deal with this ace attorney game? experiences anyone? @steveex We're trying to find out. @ThomasBW84 This week they have a special announcement for it on the eshop page. They don't usually do that. @Reynoldszahl You've been living under a rock for the past decade? There's a demo available in the eShop for Dual Destinies so check it out to see if it floats your boat. @Yasume no I am living in germany . And yes I skipped the whole ds era and I have distinctive taste when it comes to games. Downloaded the demo already but sometimes the demo isn't representing the game right like the project x zone demo. Getting Deus Ex from Amazon for £23.99. Loved the PC original, 2nd best stealth game after Thief. After Ubisoft and Nintendo, I expected Square Enix to overprice their games as well, but it's just perfect now. An amazing game for an an amazing price. Actually this will be my first full price Wii U retail game. Day 1 support! Keep it on Square Enix! Hmm, Pheonix Wright and Deus Ex are probables for me, once I get paid and buy Sonic LW. I picked up Deus Ex really cheap for 360 and really enjoyed it as you don't have to play stealth as much and you can build the character the way you want,.and I enjoyed it as much as Skyrim. You know all those SNES titles you have on the wii shop? You know all those people who have a 3DS? Just saying if you want MONEY, how about ALTTP, Super Metroid and Super Mario World on 3DS eshop. Make it happen. I thought you we're a business. I thought Wii Party U was this week too (25th in Europe and 26th in Australia). @Reynoldszahl If you like engaging stories and don't mind reading a whole bunch, this game might be for you. It is a visual novel combined with some minor point and click adventure stuff. The demo gives you an idea of what to expect from the writing and it's gameplay, but it still misses a whole lot of important stuff like the investigations and more suspenseful 'court room drama'. If you like the demo a little bit you will probably like the full game a lot What I like the most is the amazing cast of characters and their relationships, but you have to play all of the games in the series to fully appreciate that aspect. Just wish that all Virtual Console games would come out on the Wii U already!! There are plenty of games that I want to play off-screen on the Wii U controller. @Vriess yeah Nintendo is just trying to milk money out of the fans. I'm pretty sure they could do it easily but they'd rather just slowly trickle garbage titles out. the only power we have as consumers is not to buy over priced garbage VC games. Make that 5 3DS NES VC games that NA doesn't have now. If we don't get any this week I'm going to be super pissed. Wow, both Gummy Bear titles in one day!? Have fun, Europe! Ace Attorney should have its DLC cost next to it. @marnelljm SNES is not easy to emulate well. (I think some of the WIi VC ones are unacceptable). The GBA versions but with the proper sprites and resolution from the SNES versions should be doable. Ideally ported not emulated. (If you look into the effort that Sega put into the latest versions of Nights into Dreams / Jet Set Radio / Sonic Adventure 2 - Or the mobile versions of Sonic 1 or Sonic CD). The way Nintendo's doing it shouldn't be acceptable. (Destroying the difficulty for the modern Retail releases leaves me with very few options. At the moment I have enough to be playing but none of them are Nintendo. (NSMB2/3D Land were great disappointments to me). Still no Sonic lost world demo?? Yay! More Wii U disappointment! Back to Rayman Legends and Sonic Lost World, I guess! Nothing for me this week, not even Wario's woods! Still waiting in vain hope for some quality VC titles. I don't like to pay twice of course, but that overpriced "garbage" your are talking about are my childhood memories and for me those are priceless. I just don't understand what's the hold up. Why is Nintendo waiting to bring these games from the Wii Vitrual Console to the Wii U Virtual Console?!?! Phoenix Wright will be mine. Can't wait. Cannot wait. Dual Destinies is going to be awesome!!!!!!!!!! I don't mean everything is garbage no no no. at lot of the games Nintendo has brought to the Wii U VC aren't really worth $5. Golf, Baseball, Tennis, Clu Clu Land, Wrecking Crew, Donkey Kong 3, Vegas Stakes and the like. yes those games are apart of Nintendo history but they are sub par when you compare them to games that aren't on the Wii U VC like SMB 3 Link to the past and many other gems that fans really want. Nintendo isn't really doing anything to support the loyal fans who have actually bought a Wii U. the VC on the Wii U is a huge step back from the Wii. They probably could have put the Wii VC games on the Gamepad by now but it looks liking Nintendo is just bleeding its loyal fans of their cash. Still more quantity than quality this week. MSF2 would've been great if it were truly enhanced. You guys also get Deus Ex and Phoenix Wright. I don't really like counting what are basically "retail" releases though. I prefer small scale indie games like the ones on XBLA, PSN, Kickstarter, and the Wii U's near future. In that since all that's there is Snow Moto and MSF2, both of which I hear mixed things about. 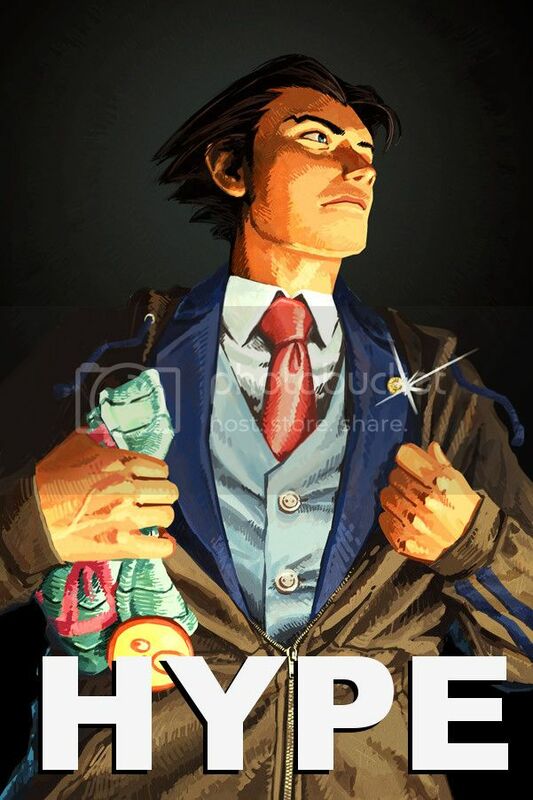 Phoenix Wright! ^__^ I must get my Nintendo eShop Card first, though... -__- Little bit of a drag, but whatever. @unrandomsam Costume DLC is free for first week or so. Case 6 DLC is not day-one. Definitely Deus Ex for me. Played the original on the Xbox 360 and loved it. It's a good price and includes the DLC (which I never got round to buying) and enough improvements to make me want to play it through again. Such a shame it's probably going to get overlooked (again!). I voted nothing for me this week but I actually want Dual Destinies, I need to play the first 3 on iOS beforehand. So hopefully soon! I have a question fellow readers! : Is Sonic Lost World on Wii U worth getting a few weeks earlier for that 'extra levels if you buy the game on the Wii U eShop before the 26th '- promotion? Am now actually very excited for deus ex after watching the promo video back and seeing it appear on the eshop page. This game is amazing and should not be overlooked. It is better than Metal Gear Solid AND Splinter Cell. This game should NOT be overlooked, especially at £29.99. It should be snapped up and seriously enjoyed, it looks stunning running on the Wii U. Especially if you're a fan of NiGHTS. @Yasume @Smitherenez I really enjoyed the demo and I will check the first title of the series and get me a used copy. This is a strange exception. Is it just the gamepad table stand, or that they wouldn't want to undercut retail given it would have to be cheaper without the Wii Remote? Well apparently the price for the physical copy of deus ex is now 40 euros like the e-shop price hope reducing the price gets it more sales.